This guide proposes a simple and fun way to learn about the different wines and how to enjoy them. 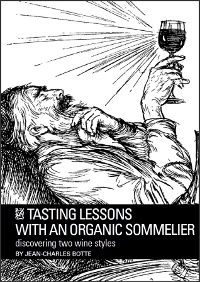 In this pragmatic book, you will find the key to the tasting, but also many exercises to recognize odours and flavours. Tests and tasting memos are offered in the form of tables. > The main phases of tasting: colour, nose, mouth. > Recognition of different flavours. > A tasting memo as a table. > Recognize the chemical aromas, wine with natural yeasts, wine with chemical yeasts, wine with sulfur and without sulfur.